All the literature of the world is puny and insignificant in front of the Bhagwat Gita- once remarked the famous American writer and philosopher, H.D.Thoreau. 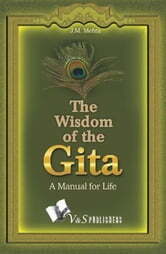 This book is an outcome of a deep study of the Gita over a long period and broadly covers the main teachings enshrined in the scripture. 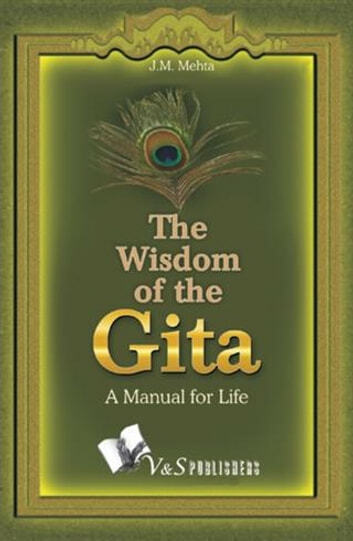 In fact,Gita is not merely a holy book meant for reverence and ritual worship, but it is a fountain spring of true knowledge and wisdom and can be considered as a manual for righteous living. This small book acquaints the readers with the fundamentals of life, which include the human body and the soul, pleasure and pain, God and nature, good and evil, the different qualities inherent in human beings, yoga, meditation, desires and similar other aspects. The book has been specially designed for the busy man of the present day, who has no time to read voluminous titles! Some Glimpses: *The Goal of Life: The man who remains same in pain and pleasure, and who is wise makes himself fit for eternal life. *The Charity given as a matter of duty and without expectation of return, to the right and deserving person, at the right time and place is Satvik. *Whatsoever makes the unwavering and unsteady mind wander away, let him restrain and bring it back to the control of the self alone. *A true devotee is one who has no ill-will to any being, who is friendly and compassionate, free from egoism and self sense, even-minded in pain and pleasure, and patient.